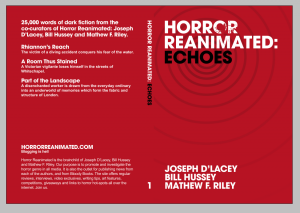 As the post says, if you go to Horror Reanimated, the blog I run with Joseph D’Lacey and Bill Hussey, you can download a PDF version of the limited edition chapbook we gave away at our readings earlier in the year. Speculative Fiction Junkie has written a little piece and seems to like it; as does Sharon Ring, who gave it a great review over on Science Fiction and Fantasy Enthusiasts, and Highlander’s Book Reviews. 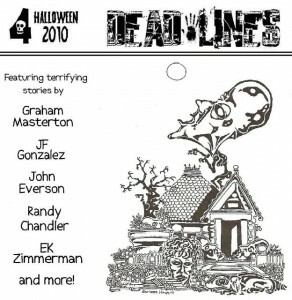 The Gardener was published in the first issue of Necrography a couple of months back. I’ve just realised I haven’t written anything about it on The Great White Space so here goes. 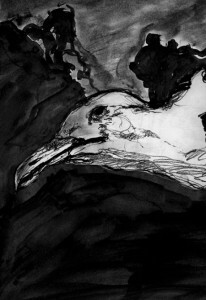 The eerie illustration is by my friend and conspirator Owen Priestley. 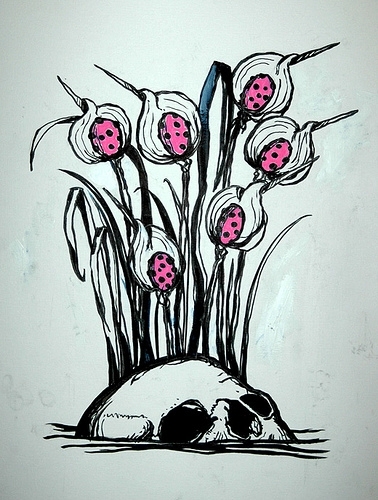 This is the colour version of the accompanying illustration – Necrography printed a monochrome version which is pretty effective too. Thanks again to Owen for coming up with something so atmospheric and representative of the story. My piece that won the 2008 British Fantasy Society‘s Short Story Competition finally sees the light of day this month – some three and a half years after it was originally written. I wrote Seems Only Right for entry into the 12th Chiaroscuro short story contest back in 2006, which was won by Gemma Files. 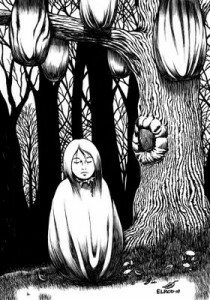 Chiaroscuro, or Chizine, is a great online horror and weird fiction magazine sponsored by Leisure Books in the US. There were first, second and third placed stories, and Seems Only Right was given an Honourable Mention along with five others, out of a total of 307 entries, so I was pretty pleased. For a moment; until I realised it wouldn’t be seen by anyone, as only the first 3 stories were published. So near and yet so far!